The Ford government’s plans to cut education funding are running into heavy opposition from across the province. 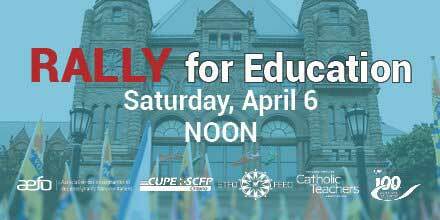 ETFO President Sam Hammond has asked all members to support a rally for public education on Saturday, April 6th at Queen’s Park in Toronto. The rally is being sponsored by six unions representing educators and staff, and by the Ontario Federation of Labour. 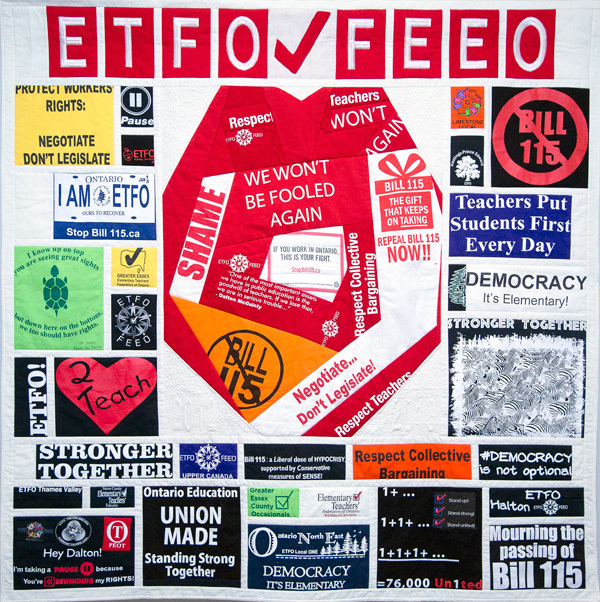 The unions include ETFO, the Ontario Secondary School Teachers’ Federation (OSSTF), the Ontario English Catholic Teachers’ Association (OECTA), L’Association des enseignantes et des enseignants franco-ontariens (AEFO), the Canadian Union of Public Employees (CUPE) and the Ontario Public Service Employees Union (OPSEU). 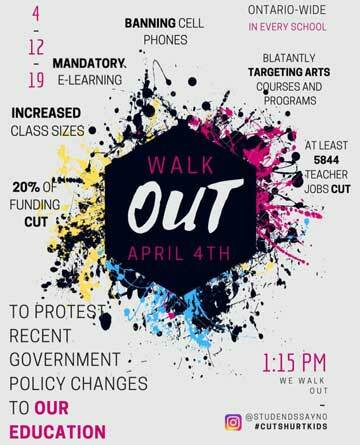 On the student front, activists at more than 200 high schools have formed committees to support a province-wide student walkout scheduled for April 4.